We are Adelaide’s Crash Repair Specialists. All repairs are completed in the most cost effective method without compromising Quality and Safety. Welland Crash Repairs achieve efficient, safe standards while delivering high quality, cost effective vehicle repair with the latest crash repair methods. Click on the video at left to see our staff in action. Choosing the right crash repairer will result in a safe, efficient repair that will maintain vehicle resale value and ensure many more years of safe motoring for you and your family. You don’t have a choice when an accident happens! …but you can choose who will repair your vehicle. 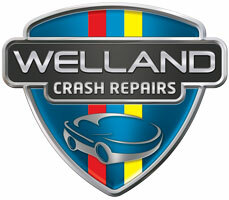 Welland Crash Repairs is a family owned business established in 1976, which has built an excellent reputation as a first class crash repairer. Our range of services are performed in-house to control quality and delivery times. Fully managed Fleet Collision Repair for all your business vehicles. Welland Crash Repairs Adelaide has a fully equipped workshop with the latest in collision repair technology. Welland Crash Repairs pride ourselves in providing high quality repairs by using fully researched methods and up to date information for the safe repair of modern vehicles. Welland Crash Repairs achieve efficient, safe standards while delivering high quality, cost effective vehicle repair with the latest crash repair methods.